The elephant trainer’s guide to mind control? This is how elephants trainers control their elephants, and why you are not stepping into your full power. 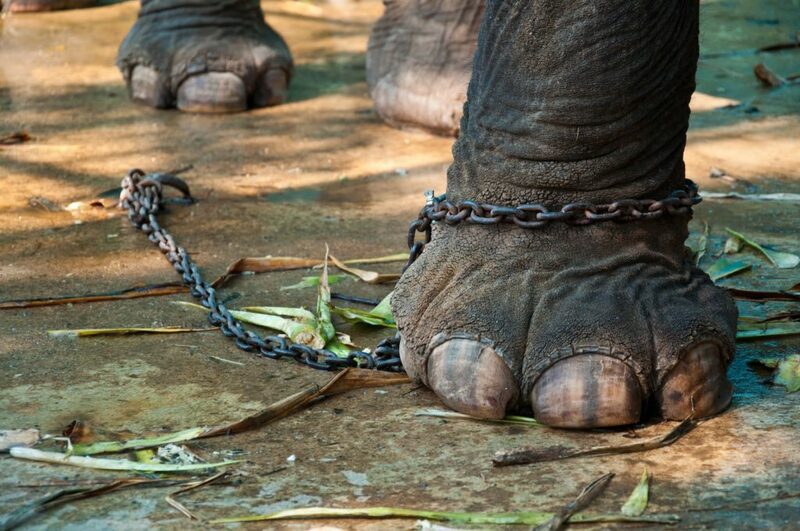 The story goes that elephant trainers use a simple trick to stop their elephants from running away. When the elephants are very young and small, they tie them to a stake in the ground with a thick piece of rope. At that young age, the elephant isn’t strong enough to break the rope or pull the stake from the ground. And so it learns that when it is tied to the rope, it can’t move. It has to stay where it is. But then the elephant grows up. Eventually, the elephant becomes the powerful beast that it was always meant to be. However, it carries its conditioning. In its mind, the rope is still unbreakable, the stake is still unmovable. And so even though it could easily break free from the confines it has always known, it doesn’t even try. It just assumes that when that little rope is tied to its neck, there is nothing it can do about it. The elephant’s conditioning puts limits on what the elephant thinks is possible – limits that from the perspective of our sophisticated monkey minds, just look ridiculous. But before you start laughing Mr Opposable-Thumbs, remember humans aren’t all that different. When we are young, we are incredibly impressionable. We are like sponges, soaking up the world around us. And a good part of that is learning how the world works – learning what our physical limits are. Learning the tricks and shortcuts that will get us through life. But most of these heuristics are sticky – we don’t go back and revisit them. I remember when I was at Uni, we were having a drunken ‘debate’ about how to use toilet paper. Some people folded. Some people scrunched. A vigorous debate ensued. But then one guy says that he wraps the toilet paper around his hand. How many of your strategies for dealing with the world come from a time when you were smaller, less powerful, less intelligent, less wise? How many have you simply outgrown? And how many little ropes do you have keeping you ‘in your place’? Sit up straight and don’t talk when the authority figures are talking. This is why we need to be constantly pushing our boundaries and riding our edges. It’s not just that this is where the exciting stuff happens – where the growth happens. It’s because our boundaries are constantly changing. The limits you face now are different to the limits you faced when you were twenty-four, and different again to the limits you faced when you were just four years old. Unless you’re testing them, how do you know? Maybe you are a powerful being held in place by nothing more than a piece of string and a lifetime of conditioning. In my experience, most people are.